My one-word for the year is “listen”. There were multiple reasons for choosing that word, (you can read all about them here) but one of the big ones was that I feel like I miss so many opportunities with my kiddos each day. It’s tiring and tedious to sit and play with dump trucks for hours and hours every day. It can get borring (shhhh don’t tell!) and sometimes I’m tired of playing. but my children are little. The oldest is 2 and the youngest is 5 months. The main way we interact is through play. The biggest opportunity I get to show them my love is to play with them. Even when it’s borring, even when I’m sick of building train tracks and singing the same song over and over. I don’t want to miss the opportunity to show them love. I don’t want to miss the opportunity to watch them grow up, to laugh with them, to tickle them and to listen to their stories. To hug and cuddle my little princess while she’s still young enough to let me. I don’t want to let these precious moments pass me by. And so I pause, and listen, and sieze the opportunities. I try to say “yes” more when my little boy calls out “MAMA PLAY (with) YOUUUU” at the top of his little lungs petitioning me to notice his charms. Asking me to join him in the thing that brings him the most joy. Playtime. Playing is a small thing. In and of itself it feels rather meaningless. But it’s an opportunity to share love. And that, I don’t want to miss. After I wrote this I realized this is definitely a “confession of an imperfect mother” so I am adding this to the series. To see other posts in this series and to read what the imperfect motherhood series is all about click on the image below! Paula, thanks so much for visiting me at Pursuing Heart a few days ago! And I’m glad that it brought me here, to visit you, too. It was fun to see your “word” for 2013 – “listen”. I have been focusing on that word for the past few years, and still have so much to learn. It is key to so many things – and I so desire to learn from and listen to God, and also to the ones I love the most. It is so easy to be busy and occupied with many things, and to miss out on what is most important. Praying that you will have a great, memorable year as you pause each day to focus on what’s most important. Very cute! A friend and I were just talking about how we need to have more patience when our little ones want t o play with us for hours on end!! 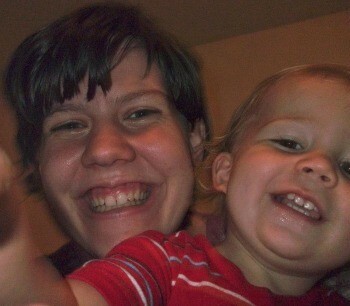 Thanks for linking up to Mommy Moments! Girl, I hear you. I remember when my kids turned 3, I was giddy with the thoughts that now I could teach them how to play an actual board game instead of playing dolls. I think what you have said here is so full of truth — when our kids are young, playing with them is a huge way of showing them that they are loved. What little cuties you have, Paula! I’m glad you linked this up to Playdates with God too. Time goes so quickly with our children. This month my boys will turn 14 and 16. It’s so hard to wrap my mind around. Enjoy those little ones, friend. Great post. It’s really important to take the opportunity to spend time with your kids. 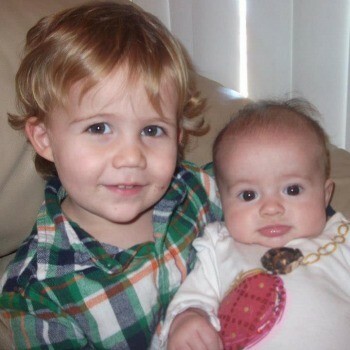 Before you know it they will be grown ups with there own family someday. I love 5-Minute Fridays!! I don’t participate too often but have enjoyed it every time I have. This is a precious post. I missed lots of moments with my children even though I enjoyed so many many moments. They grow up too fast so you are blessed to have realized this at the start. 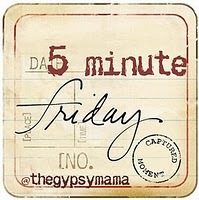 Hey Buddy!, I found this information for you: "Opportunity 5 minute friday". Here is the website link: https://www.beautythroughimperfection.com/opportunity-5-minute-friday/. Thank you.